Guangzhou is set to become the third mainland city (after Beijing and Shanghai) to offer 72-hour transit visa waivers to travelers passing through. Effective August 1, the eligible nationalities will include Australia, Britain, Canada, France, Japan, New Zealand, Russia, South Korea and the United States, among others. 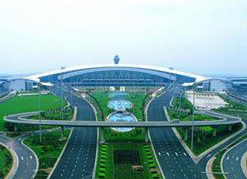 Eligible travelers arriving at Guangzhou’s Baiyun International Airport will be allowed to stay for three days, provided that they stay in Guangdong province and that they have an outbound plane ticket to a third country. (Those returning to their country of origin will not be eligible). The Ministry of Foreign Affairs has issued Answers to Frequently Asked Questions Concerning 72-hour Transit Visa Exemption for Foreign Nationals. (Currently, the article covers only Beijing and Shanghai, but I’m guessing it will be updated in light of Guangzhou’s new policy.) And here’s Baiyun International Airport’s announcement (in Chinese).